It's probably safe to say that Yorgos Lanthimos' The Favourite is worth seeing merely on the basis that it raises so many questions and thwarts simplistic interpretations. 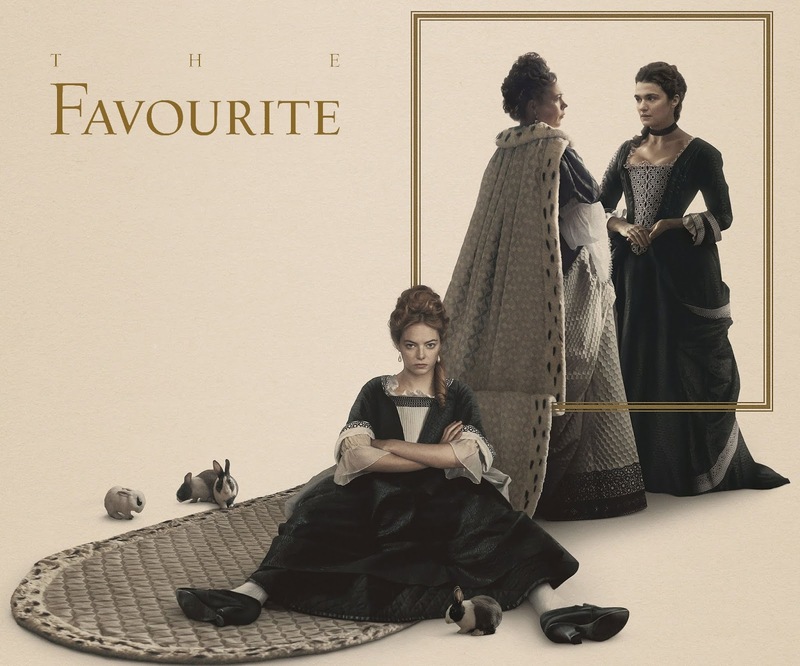 Charting a brief period in the life of Queen Anne - and focussing exclusively on the attempts of two women (played by Rachel Weisz and Emma Stone) to win her favour - it certainly doesn't lack quirkiness (artful, self-conscious dialogue; wacky dancing; sequences of people racing ducks), atmosphere (candle-lit interiors; haunting, surprising music) and visual flourishes (heavy use of 'fish eye' lenses). Combined with the interplay of the three leads, all this frequently makes for delicious viewing, but does it amount to much? And sure, the idiosyncratic style is compelling and coherent (even down to the anachronistic use of language) but it also feels forced. One thing is beyond doubt: the strength of the central performances, especially that of Olivia Colman. Even when in the grip of frenzied hysteria, she is never less than truthful, inspired and magnetic. Quite a sight to behold.